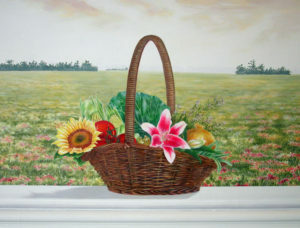 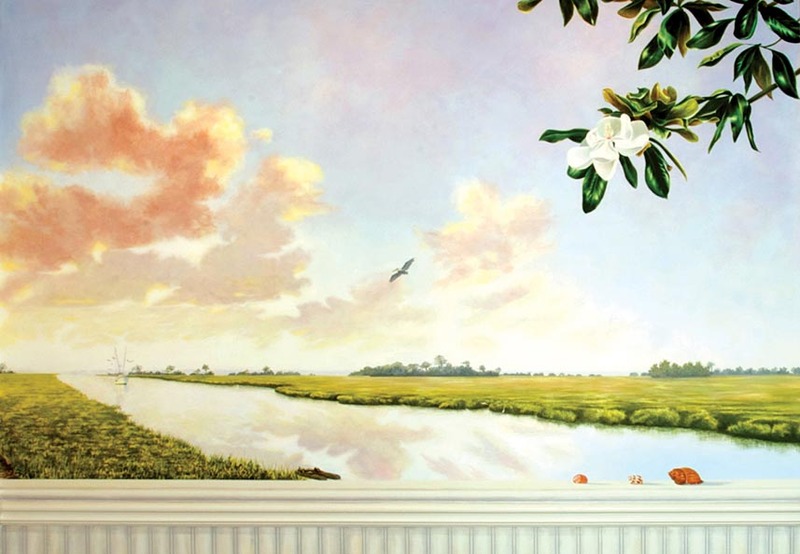 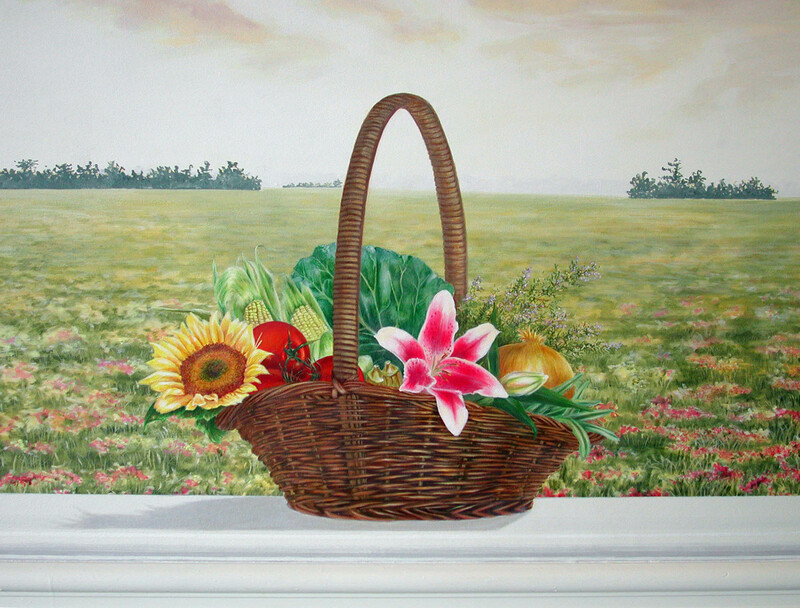 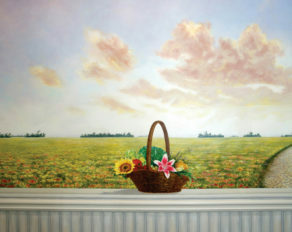 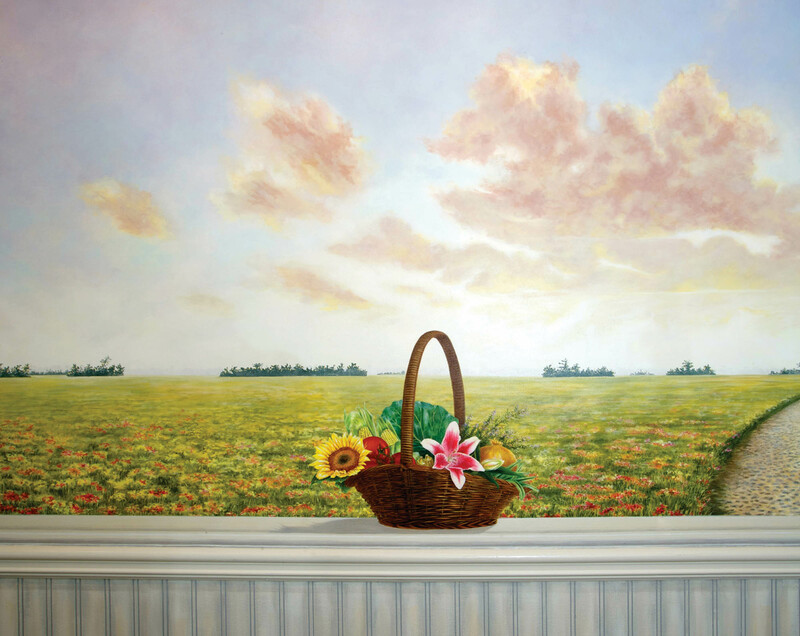 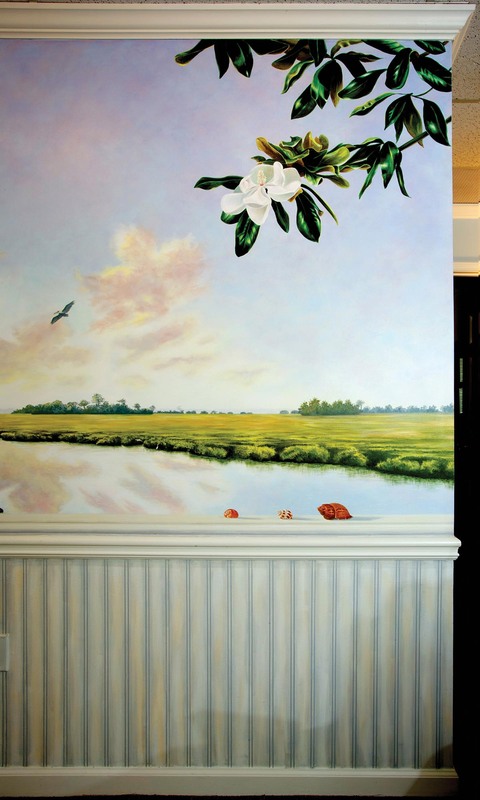 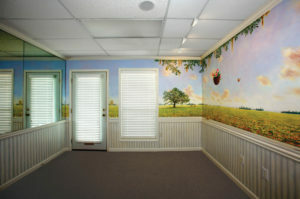 Megan painted this coastal Georgia porch scene for the waiting room for a natural healing services center. 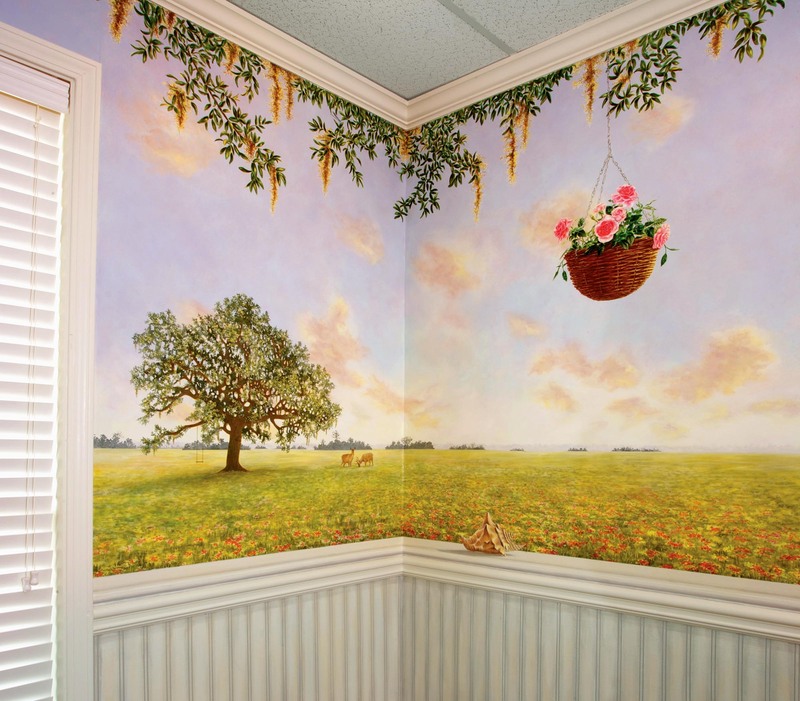 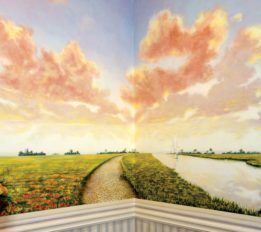 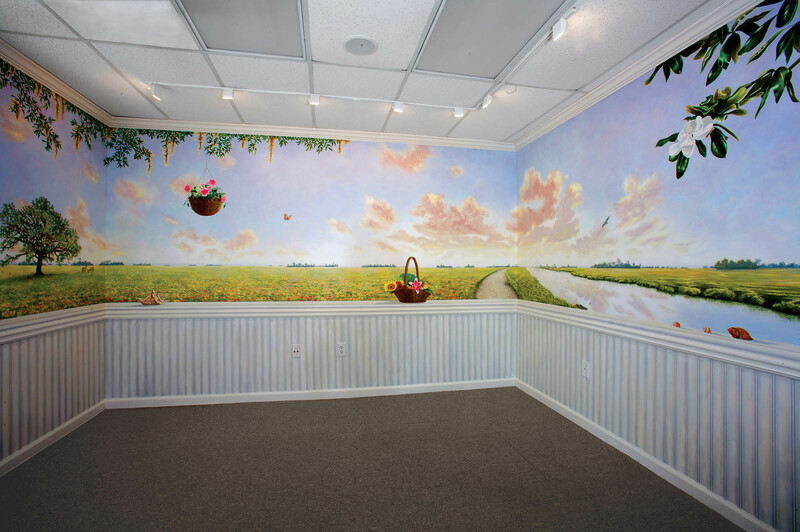 The mural above the chair rail is painted on polymural canvas and installed with wallpaper adhesive to allow for its removal. 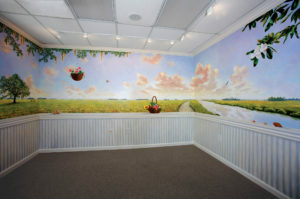 In fact, Megan has moved the mural twice since painting it, each time adapting the size of the canvas mural panels to the new location. 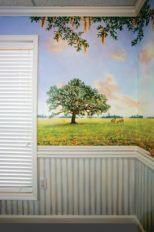 Below the chair rail is faux finished to look like antique bead board. 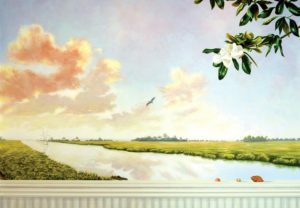 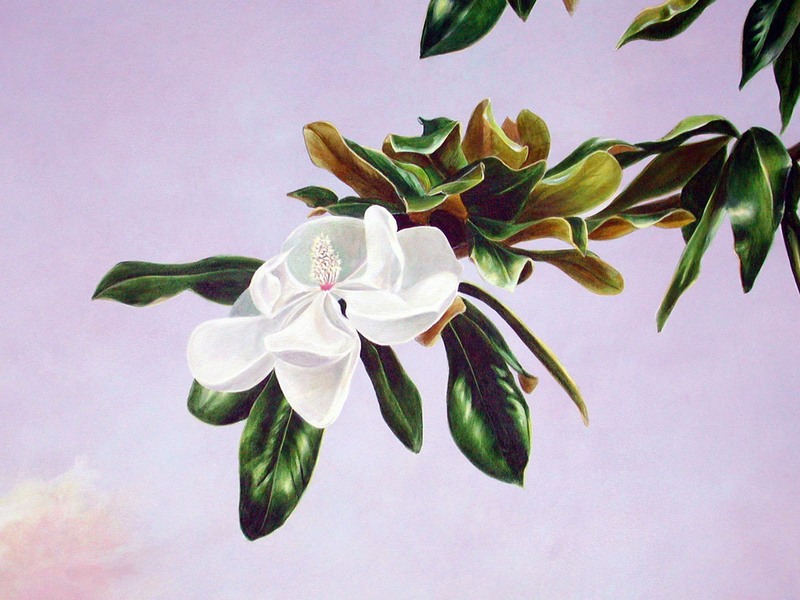 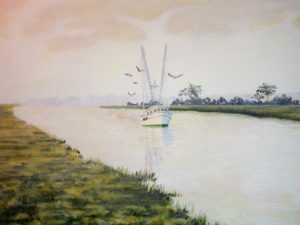 Details such as the praying mantis, roses, egrets, deer, sea shells, rabbits, garden basket, pelican, sunrise, and shrimp boat were selected for their special meaning to the client.